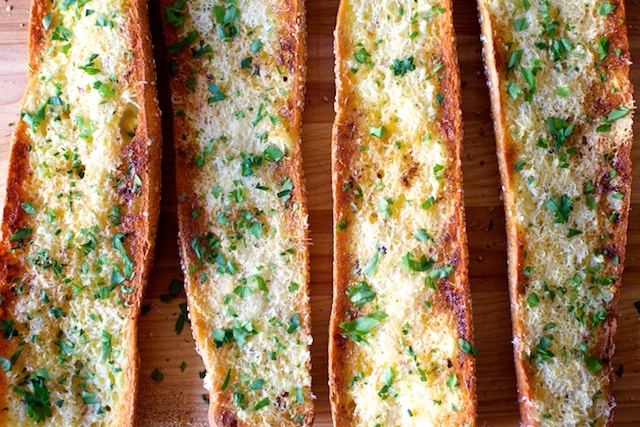 Garlic bread could be a breakfast food. -It's kind of like toast. -You can combine it with eggs. -It would go great with breakfast potatoes and bacon. -In europe, they've been known to add olive oil (and cheese) to their breakfast bread. THIS garlic bread from smitten kitchen, as the name implies, is perfect.